A crowd has gathered outside of the new Michael Jordan store in downtown Chicago. 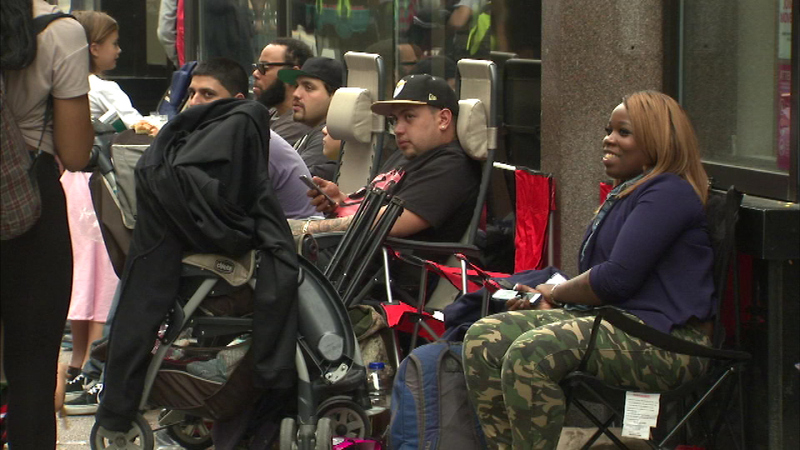 CHICAGO (WLS) -- A crowd has gathered outside of the new Michael Jordan store in downtown Chicago. They're going to be sitting there awhile because 32 South State Street - the name and location of the store - doesn't open until Saturday! The store will feature all the Michael Jordan gear along with a training center for high school athletes.